Eve Bunting’s books range from preschool to young adult novels with everything in between. This author study will focus on using her books to teach literacy and comprehension in an early elementary classroom. The stories seem to focus around making the world a better place to live. They capture a child’s imagination and add a new dimension to creating a true love of literature and increasing comprehension beyond words. 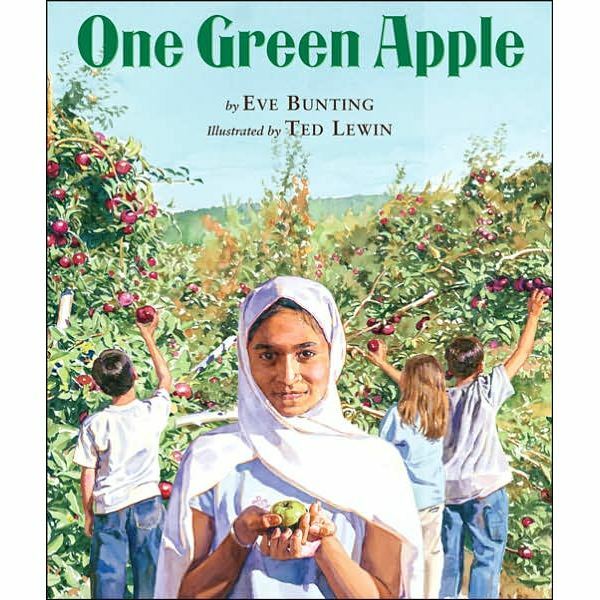 An author study focusing on the books of Eve Bunting allows children to discuss world issues and everyday problems while expanding on their own perception of different issues. Like any author study, you should begin by introducing students to the author’s books. Look at the different covers, read titles, highlight different illustrations and try to make predictions on what these stories are about. Picture walks are very important when targeting younger students to capture them in a discussion about a book or learn about an author. Write about a time you were the new kid or didn’t know anyone at school or at a party. Write how you felt, and then how overcame this feeling. Share with your Book Talk Buddy. Using a Venn Diagram, compare yourself to Farah. How are you the same and how are you different from the main character can lead to another writing piece or a follow-up group discussion in your next author meeting. Next, you can read Smoky Night, which talks about a family dealing with fire in the midst of the LA Riots. This story may not be completely understood by younger students, as they may not be able to relate to riots. However, you can discuss how it may feel to lose your home because of fire and how your pets will also need to relocate. You can emphasize what it means to be a good neighbor. For example, you can use a circle map to write down all the good qualities of a neighbor and what is important in a neighborhood to make you feel safe. As a follow-up, students can write a reflection in their Reading Logs to share at next meeting. What happens in the story? What is the problem, and then the solution? What feelings did the character have in the beginning of the story? At the end of the story? Did you ever feel this way? Give details. Be ready to discuss book with class and add to the Eve Bunting chart. This is about Anna who teaches her grandmother to read. She teaches her to read and write some everyday activities such as a shopping list. Discuss problems you would have as an adult if you could not read. What could you do for someone you know that could not read? This is a story of a very special tree loved by this neighborhood. The tree was dying and the neighbors all worked hard to make it come back to life. This book is an excellent segue into activities for Earth Day or Recycling. It is a great tie-in to a science project. Students can make charts on how to Reduce, Reuse and Recycle. Students may also write about something in nature that they enjoy, for example, climbing a tree. They can write about it using their five senses to describe themselves enjoying it. This is story of a girl who lost her mom and how she created a memory string of buttons from her family. The string breaks and she keeps fixing it and adding buttons. This is an excellent way to introduce the different memories we have in life –both old and new memories. Students can make a string of beads that they can hand paint to represent their own memories. Or students can collect bead and buttons from family members and make their own memory strings. 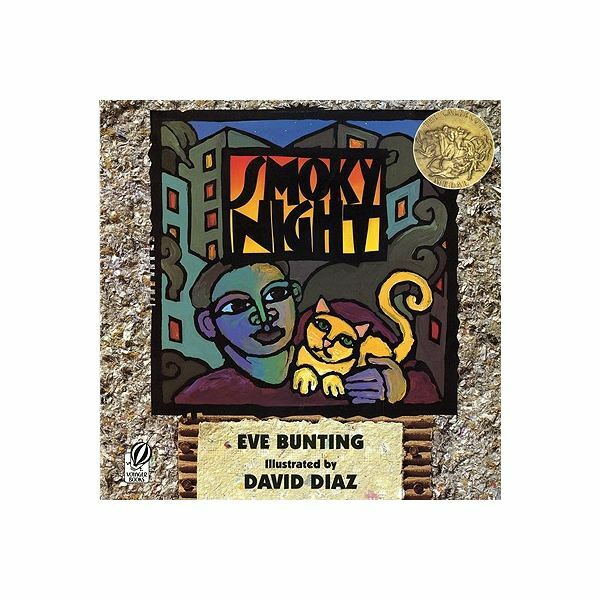 The list of Eve Bunting books and activities can go on and on. It is important to keep relating back to the author’s purpose and how Eve Bunting makes this point come across in each of her books. She is an author that is able to reach beyond what she knows and impact readers by leaving them with reflections and questions about life. Children can explore a specific author to develop an aesthetic understanding of the true meaning of a story and how it relates to their lives and the world around them.